Click the button below to add the Dry Scalp Treatment to your wish list. Our Dry Scalp Treatment instantly soothes dryness and stops flaking, burning and itching while moisturizing and relieving the scalp. This soothing scalp oil relaxes, moisturizes and rebalances, which provides a breathable, nutrient-rich barrier of protection to support your scalp and control dryness. Our Dry Scalp Treatment provides fast, soothing, moisturizing relief for both men and women of all hair types and textures. This formula is free of any dyes, artificial colors, artificial fragrances, and parabens. Our gentle, lightweight formula leaves your scalp clean, flake-free and moisturized while maintaining your hair smooth and soft. Color safe and gentle enough for all skin types. Can be used on wet or dry hair. Nature’s best ingredients provide nutrients with vitamins that feed and hydrate your dry scalp hair. Rejuvenates dry, damaged hair while moisturizing dry scalps for lasting comfort. Enriched with powerful and soothing Vitamin E which is quickly absorbed. From the Rainforest, Andiroba oil is a rich source of essential fatty acids, is well known in Brazil and is used to improve skin conditions. 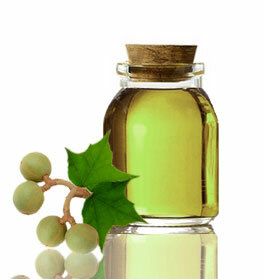 Foraha oil has been used for centuries in Asia for its remarkable properties. Avocado oil works well for moisturizing dry, brittle and damaged hair. 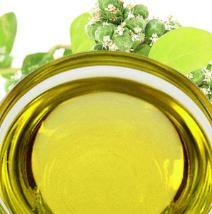 Jojoba oil is excellent as a scalp moisturizer, scalp cleanser, and controls dandruff. This treatment can be used as a leave-in serum. • You can mix and match products so that it works for your hair type and texture. • This product can be applied with other products and can be used as a leave-oil. • Be delicate with your hair. Comb and brush hair with caution and use heat appliances infrequently as they can cause damage. • If you have fine or thin hair, apply a small amount to the scalp to prevent greasiness. • You can seal your ends with your favorite butter or oils to keep moisture in the hair. I've struggled with a dry scalp my entire life. I've tried everything including prescription shampoos. I just decided to try it so I could put it on the list of things that didn't help my dry scalp. But, I was so wrong this is AMAZING!! Not only is my dry scalp gone but my hair looks better. Try this dry scalp product; you will not regret it. This nutritive product for dry scalps is fabulous. I am so pleased with how effective it is. My scalp is tight and a little itchy scalp too, which has been soothed by this product. It smells great, as well. Leaves my hair looking great, too! Apply sparingly a little will go a long way. I have tried about everything on the market for my Dry, Tight scalp. It's has a pleasant odor, you can feel it working on the scalp, it's true, and the overall feeling of my hair and scalp was incredible afterward. This nutritive product for dry scalps not only does what it claims to do, but it also works the very first time you use it. My scalp was the worst; parched. It’s so dry sometimes it feels tight. No matter what my prior attempts at trying to rid my scalp of this dryness, I would always have the annoying scaliness...But after my first use with this dry scalp product, I was amazed when looking in the mirror when I saw what appeared to be a normal, healthy scalp. The tightness and dryness was gone, and I felt great! Miracle for dry scalps!! If you have dealt with dry scalp as I have, it's worth every penny, plus some it works great, and I don't plan to use anything else. It truly is magic in a bottle. Do yourself a favor and buy this product. I am amazed. My scalp has been itchy, and no amount of shampoo and conditioner could help me. This oil product has soothed my dry scalp immediately. Whenever my scalp gets itchy, I apply a bit of this product, and it calms it right away. This product smells amazing. I suggest that you use a small amount of this stuff as it is an oil. Recommend to anyone. I gave this product to a friend who is growing out dreadlocks. He was complaining that his scalp was parched and the itching was driving him insane. I was researching about products to help heal the scalp. Your site was one of the first to come up, and I proceeded to venture. I thought this oil would be the best for him. It did arrive quickly, and I wrapped it up in a gift bag. He got back to me a week later, and he loves the product. He said that his scalp is clear and his locs have a natural sheen to them. He claims that this product is a blessing in disguise. I was expecting this product to be non oily so I could spray it during a regular work day . However it's very greasy so leaves your hair/scalp looking greasy like it's not washed . However the smell of product is amazing . This scalp treatment is more for at homeuse only then needs to be washed off before starting your day . I use the oil treatment every morning. I have fine, straight hair and I massage this product into the hair. You can feel that this product works once you apply it.It smells like a mixture of citrus and cedarwood. I wash this treatment out at the end of the day and my hair it feels luxurious. My scalp is flake free and clean. I am elated that I found this oil treatment.I have suffered from flare up on my scalp for the past few months, and the itchiness was killing me. After using this for about two months for twice a week, my flare ups was gone. I use this with your Clear Scalp Shampoo and Conditioner which has conditioned my hair and nourished my scalp. My scalp has been itchy and no amount of shampoo and conditioner could help me. This oil treatment has soothed my dry scalp immediately. Whenever my scalp gets itchy, I apply a bit of this product and it calms it right away. This treatment smells amazing. I suggest that you use a small amount of this stuff as it is an oil. Recommend to anyone. I gave this product to a friend who is growing out dreadlocks. He was complaining that his scalp was parched and the itching was driving him insane. I was researching about treatments to help heal the scalp. Your site was one of the first to come up, and I proceeded to venture. I thought this oil would be the best for him. It did arrive quickly, and I wrapped it up in a gift bag. He got back to me a week later, and he loves the product. He said that his scalp is clear and his locs have a natural sheen to them. He claims that this product is a blessing in disguise. Difficult to say how great, as Chicago is extremely dry. So far, I am really loving the treatment. My bottle arrived with a damaged spray cap though.